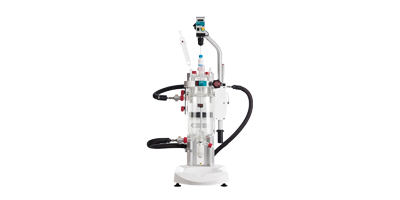 Orb’s intuitive design makes using jacketed reactors simple with the ability to use a wide vessel range from 100 mL to 10 L on one system. 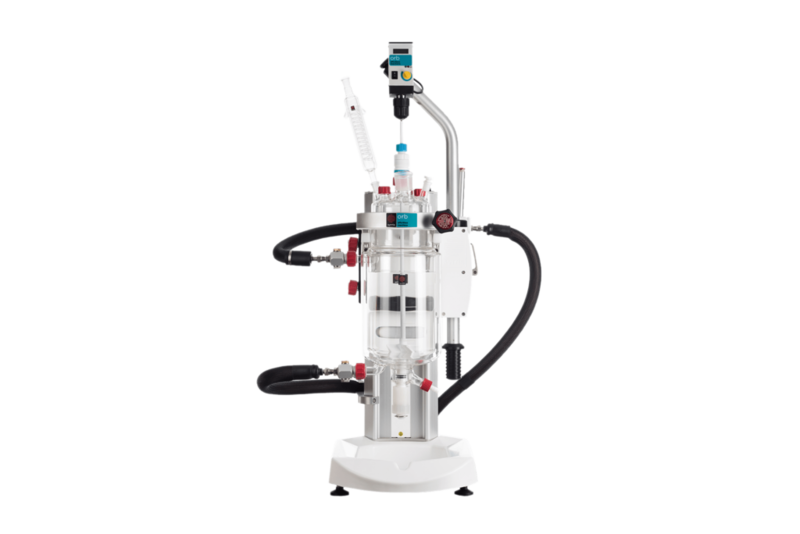 The compact design saves space and provides a robust, reliable platform to suit your chemical processes. One Orb, multiple vessels. 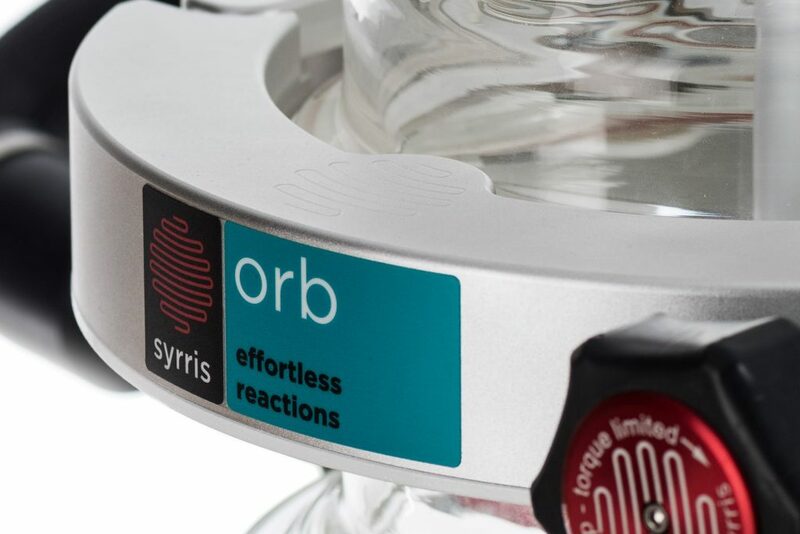 The Orb technology allows vessels from 100 mL to 10 L to be utilised on one system. 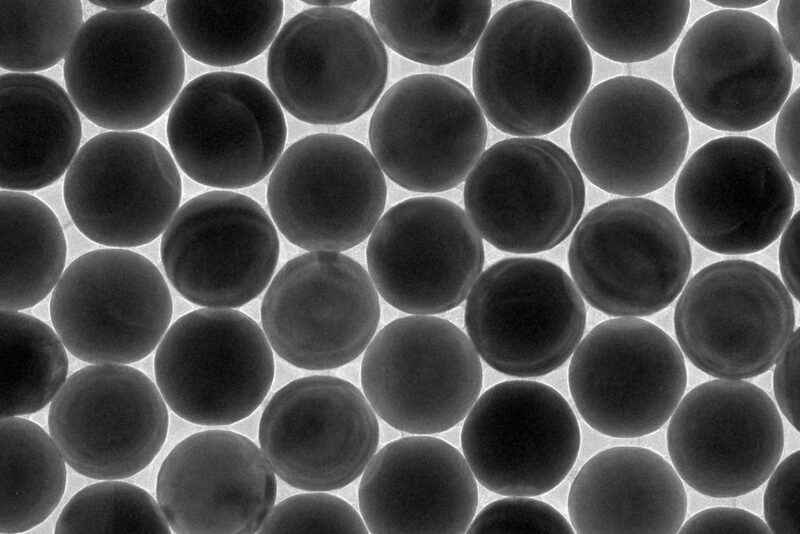 Single jacket or vacuum jacketed reactors in torispherical or round bottom profiles can be used on the system. Torispherical reactors are the ideal choice for your scale up studies. The unique vessel clamp, oil drain function and quick connections allow vessels to be interchanged in minutes providing the utmost in flexibility. Simply lift the stirrer motor out of the way, unlock the clamp and you can remove the reactor and lid. 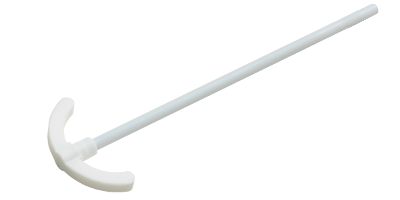 The oil drain function allows to remove oil without any fuss or spillages. 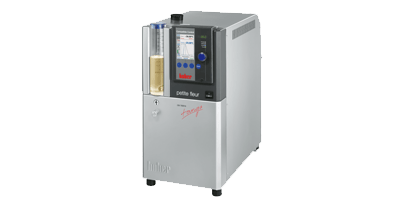 The innovative motor lift allows the stirrer motor to be rotated out of the way to give full access to the lid and ports. The stirrer motor can then be relocated without the need for further alignment. 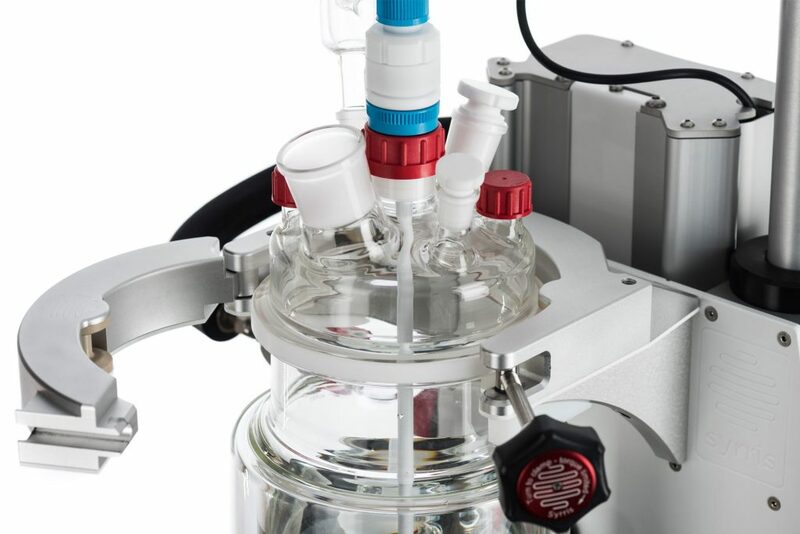 Orb has been introduced to be the workhorse in your laboratory. 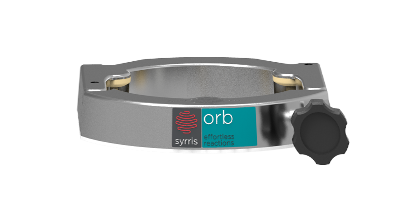 With many years developing reactor systems, Syrris developed Orb to be the system to overcome all the issues associated with fixed reactors in the lab. The system has been designed to be supplied at a very attractive price. 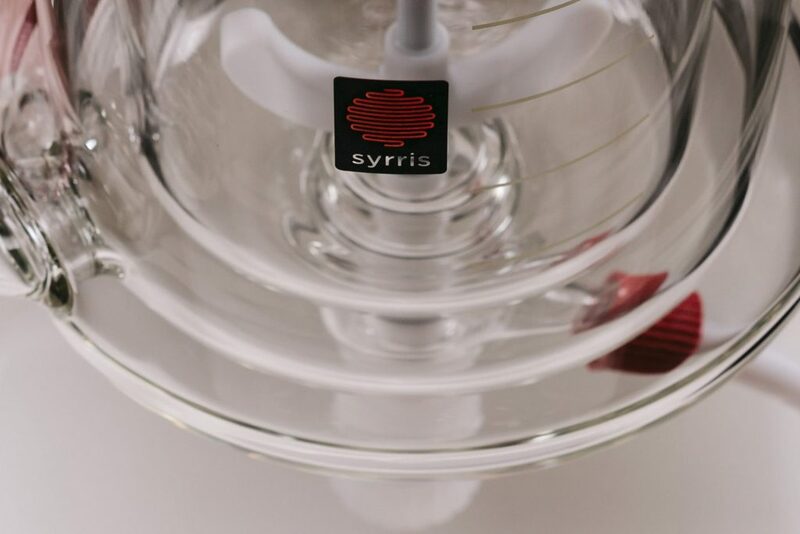 Speak to your Syrris contact and you will be amazed at the price for this extremely robust and impressive system. The unique frame allows you to adjust the Orb vessel height without any tools so you can work at a level that is suitable for you. Orb vessels offer accurate thermal performance from -40°C to +200°C (or -90°C to +250°C with temperature upgrade kits). Condensers, stirrers, probes, baffles, powder or pressure equalizing liquid funnels, port adapters, stoppers, etc. 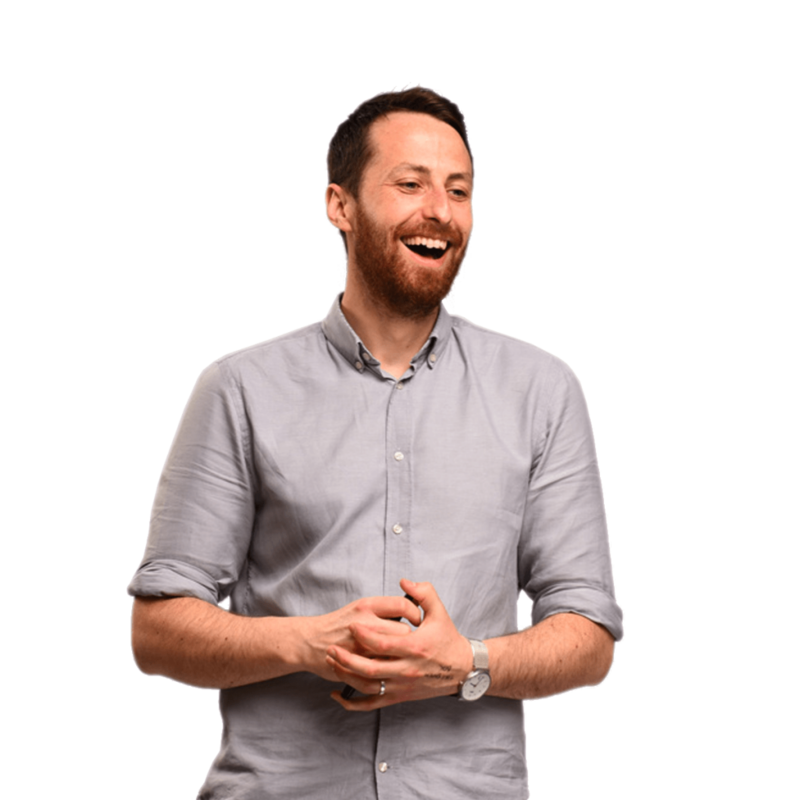 are all available on the Orb platform. 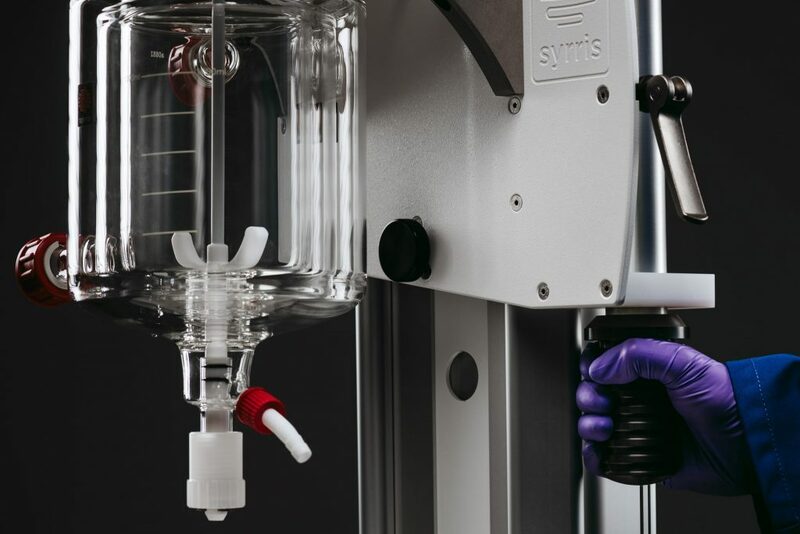 Designed with simplicity and flexibility in mind, Orb is the jacketed reactor system combining high performance and excellent value. This system is Orb with a DN100 clamp. Suitable for reactors from 100 mL up to 2 L in volume. 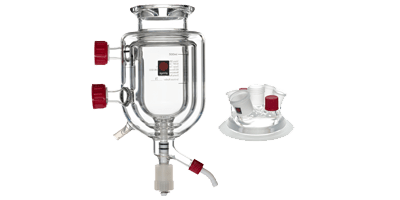 The Orb Base Unit includes the support frame, adjustable height vessel clamp, motor mounting, drip tray, and hose clamps. 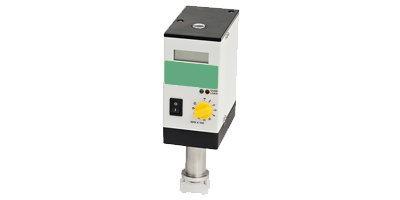 The Orb Silver Stirrer Motor is equipped with a digital speed display, boasts a peak torque of 50Ncm, and can operate from 50 – 1500 RPM making it suitable for the majority of applications. DN100 quick clamp for use with 100 mL to 2 L vessels. 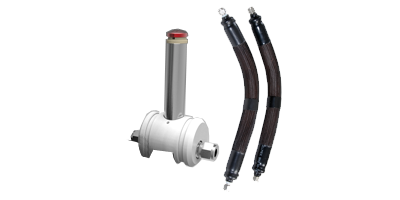 The Bronze Stirrer Motor is the entry level motor for Orb. 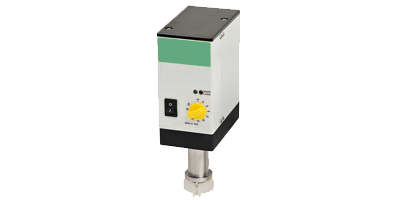 Offering simple manual control of speed from 110 to 2000rpm and peak torque of 18 Ncm, the Bronze Stirrer Motor is an ideal partner for straight forward applications up to 2 L.
The Gold Stirrer Motor for Orb provides a powerful 80 Ncm torque capability, making it ideal for larger and more challenging applications. 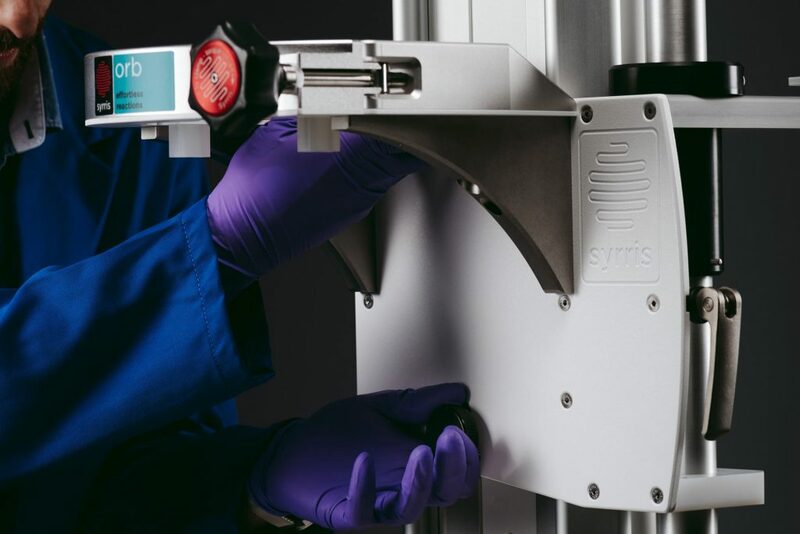 It also benefits from an RS232 communications port enabling automation from compatible systems such as the Syrris Reactor Master. 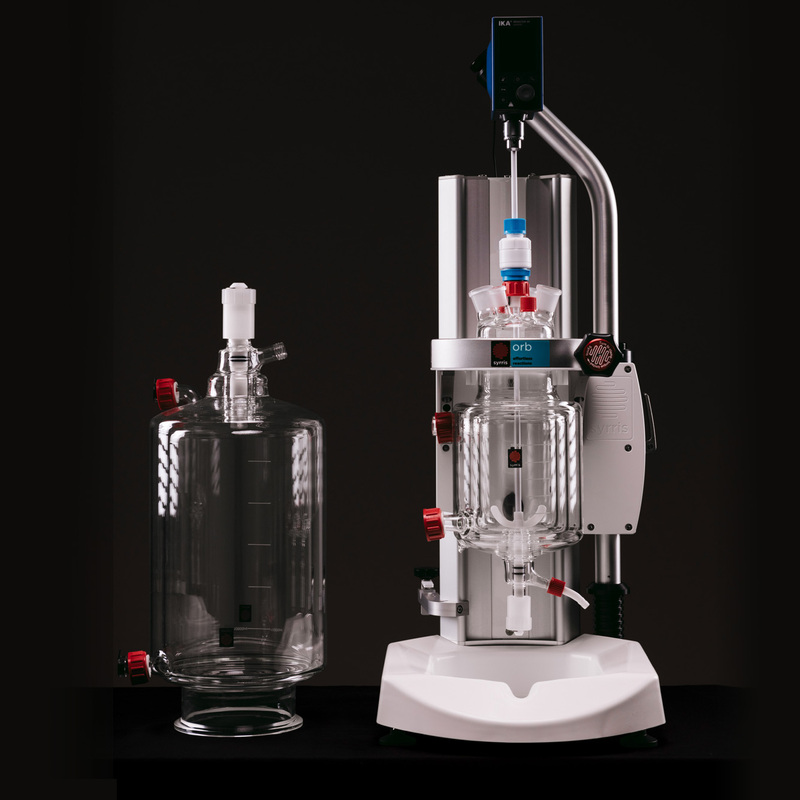 Designed with simplicity and flexibility in mind, Orb is the jacketed reactor system combining high performance and excellent value. This system is Orb with a DN150 clamp. Suitable for reactors from 1 L up to 10 L in volume. DN150 quick clamp for use with vessels from 1 L up to 10 L in volume.